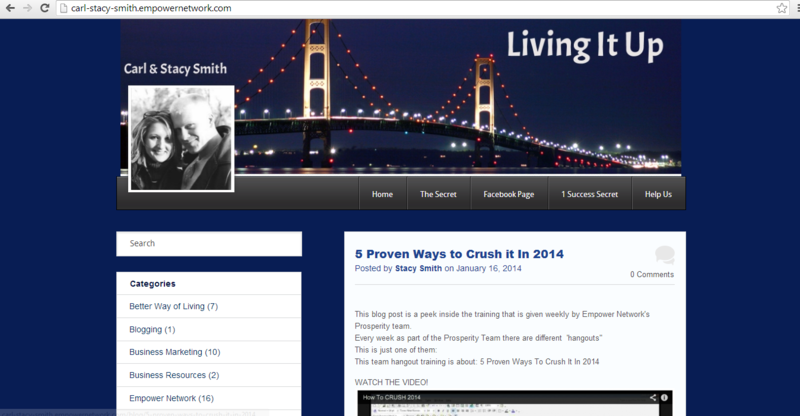 What Does An Empower Network Blog Beast Blog Look Like? Disclaimer: In this blog post I am going to give you some links to a Blog Beast Blog just to show you what it looks like. I neither recommend nor support Blog Beast as a blogging platform. I believe there are better alternatives available. Also, I neither know nor vouch for the people who’s blog I am linking to. As such I’ve decided not to hyper link to the sites, but instead I’ve provided the link in simple text format. With that out of the way let’s begin. If you are reading this you have probably heard of Empower Network and their new product launch called Blog Beast. Ultimately, Blog Beast is just an upgraded version of the blogging platform hosted on the empowernetwork.com domain. A Blog Beast blog will be a subdomain of the Empower Network domain such as blogname.empowernetwork.com. This new version of their “viral blogging platform” also lets people register their own domain name and forward it to their Blog Beast blog. Instead of sending people to “blogname.empowernetwork.com” you would send them through your domain name “blogname.com” or whatever you register as a domain name. If you go to those two URLs you will see that you get the exact same site. What Carl and Stacy have done is registered the domain name “living-it-up.com” and have associated it with their blog beast blog at “carl-stacy-smith.empowernetwork.com”. As you can see a Blog Beast blog is pretty unremarkable. It has a clean design, but that is about all it has going for it. It seems like Carl and Stacy have changed up their design a bit. They’ve add a blue background that’s harsh on the eyes. 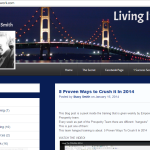 While it still is “clean” I think the default color of a blog beast blog is better. I personally think that the Blog Beast design is no more appealing than those of other free blogging systems such as wordpress.com or blogger.com. Below you can see both Carl and Stacy’s updated color scheme on the left along with a default looking Empower Network blog on the right. Is Everybody’s Blog Beast Blog Design The Same? When I first initially researched this, every Blog Beast Blog seemed liked it had the same design. Slowly I started noticing slight differences. It appears that you can change your header image, change the background color of the blog, and also change whether your sidebar column is on the left or right side of your content column. Something really surprising I found out is the fact that you can choose to not have the ugly banners promoting Empower Network in your sidebar and your footer. One Blog Beast blog I found that illustrates this is http://nutrition4all.empowernetwork.com. This is probably the most customized Blog Beast blog that I have seen so far. 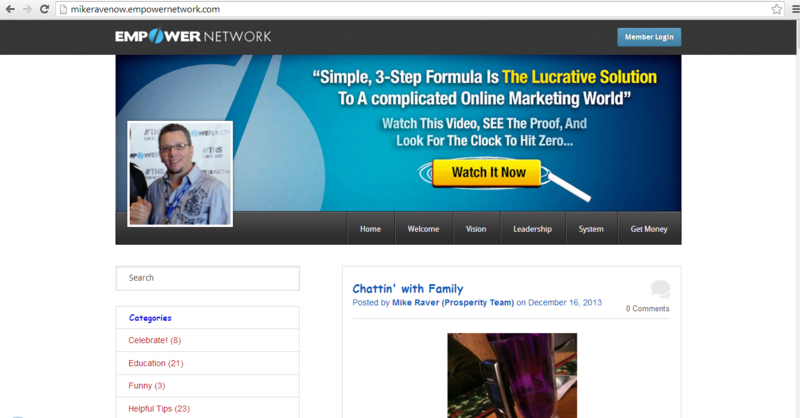 Can You Promote Other Things Besides Empower Network? From the outside looking in, it appears that you can promote other things than Empower Network. It’s interesting to see that the lady I mentioned in the above paragraph is using Empower Network’s blogging platform to promote her nutrition products. While researching this post I came across Blog Beast blogs that were being used to promote a band, a website providing information on rental cars, and people doing random product reviews. 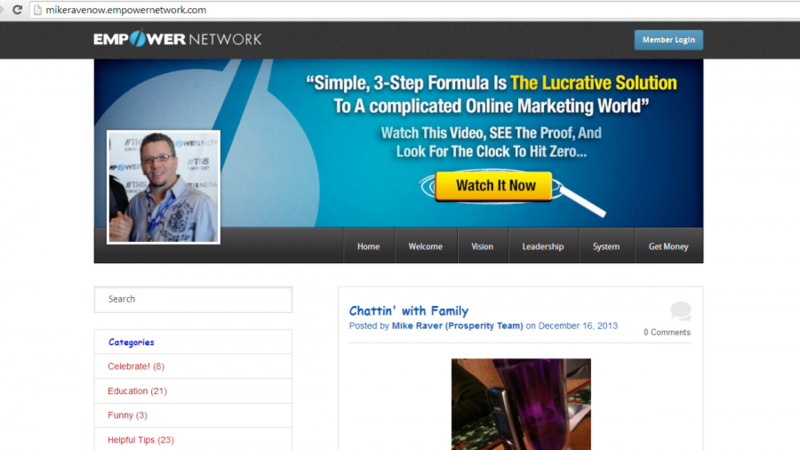 However, the vast majority of the blogs I saw were blogs just promoting Empower Network. If you want to see for yourself just do a search in Google with the search term “site:empowernetwork.com” you will see a lot of the blogs on the Empower Network. While you CAN promote things other than Empower Network on your Blog Beast blog, I’m not sure how much traffic you will get from it or how SUCCESSFUL you will be at it. To be fair this was using the old Empower Network blog. However, at the time of me writing updating this he still has not posted about his Blog Beast results, so I’m assuming that he probably didn’t like it or hasn’t had time to get results. Another down side is that there is an annoying black rectangle at the top of the sites letting everyone know that this is an Empower Network blog. Would you want this on your blog? 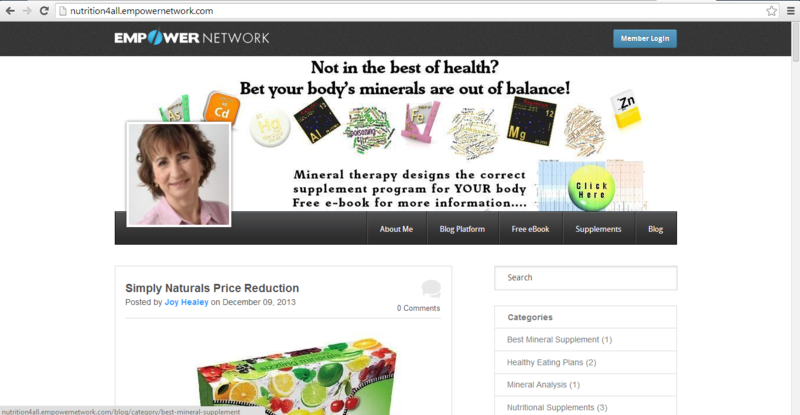 Is someone searching for health information really going to be interested in signing up for Empower Network? I think not. It’s the wrong audience, so why even include that black rectangle? As I said in my previous post about Blog Beast, I’m not impressed. I believe it’s over-hyped, over-marketed, and over-priced for what they give you. You shouldn’t spend $25 a month on a substandard blog and training and the “privilege” of constantly being heckled and pressured to spend over $5,000 to go “all in”. Do yourself a favor and skip they hype. Join a real online business community that is concerned about helping you instead of “upgrading” you. Next: If I Have Tricare Can I Open an HSA?